Chandler Arizona is located in the East Valley of Phoenix was founded in 1912. Population has exploded from 9,531 people in 1960 to 245,426 in September of 2014. Chandler covers 70 square miles and is home to 53 parks, arts and culture, museums and galleries and has an excellent reputation for the public and private school system. Tourism is big business in Chandler Arizona with a large variety of shopping, restaurants, theater and beautiful resorts. Chandler has a thriving business community with major companies such as Intel, Pay Pal, Wells Fargo, Orbital, Ebay and many others. Whether you enjoy golf, tennis, water parks, theater, fine dining, casinos, spas or shopping you will find plenty to do in this city. Rich with history you can enjoy Chandler Museums. One of particular interest is Bashas Art Gallery with emphasis on Contemporary Western Art and Contemporary American Indian Art. The downtown Chandler Art Walk, Jazz Festival and thriving business community in the downtown area is popular local and tourist hangout. Chandler is also famous for its Ostrich Festival. You will find a wide variety of restaurants from casual fare to authentic southwest and Mexican food to fine dining. Click here for Chandler AZ restaurants. Chandler is home to many neighborhoods from non-gated and gated communities to active adult homes. Click here for a map showing Chandler’s boundaries and various neighborhoods. 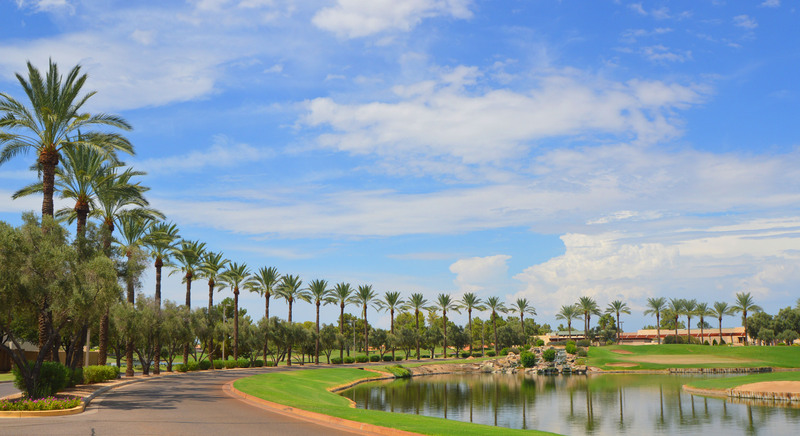 Ocotillo is a community within Chandler with many different communities – some are gated and feature waterfront luxury properties. View homes for sale in Chandler AZ under 1,000,000.